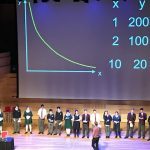 In late July the Years 10 A and B maths classes visited Chatswood Concourse to listen to some inspirational mathematicians discuss their love of maths and the applications of maths in everyday life. 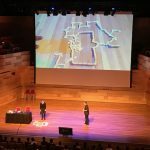 There were three speakers from Maths Inspiration. 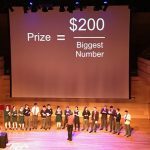 Jennifer Rogers, spoke on the applications of statistics and how they can be manipulated, Rob Eastaway discussed the maths behind sport rankings and Matt Parker, who was the main speaker, taught us how computers read binary in a very engaging and interesting presentation, utilising dominos as a visual to help us understand. 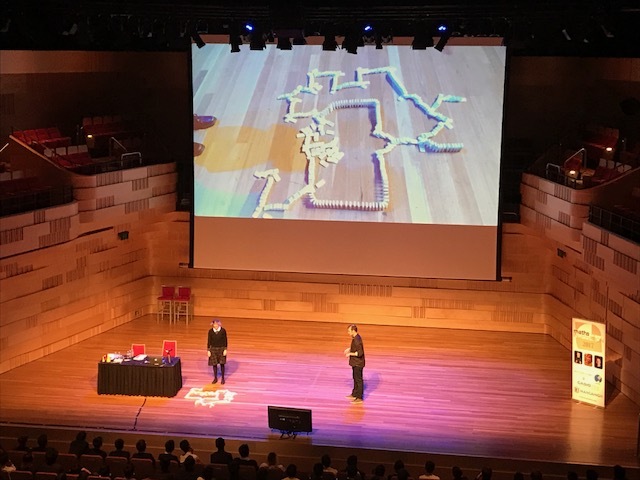 Loreto student, Lucy Illek was chosen to help with the domino presentation. 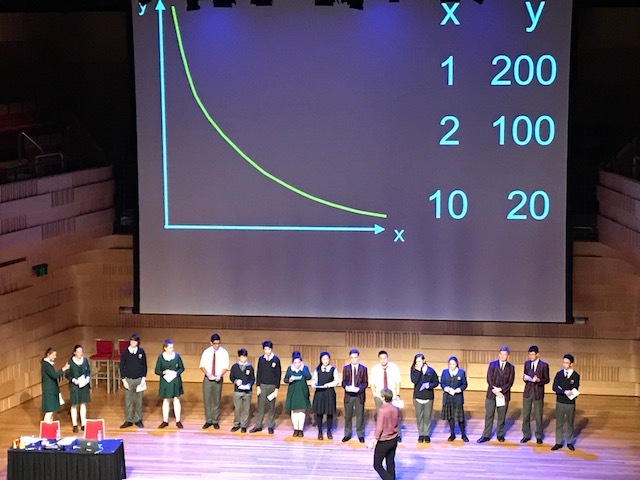 Overall, this afternoon was thoroughly enjoyable and educational and was highly thought provoking. 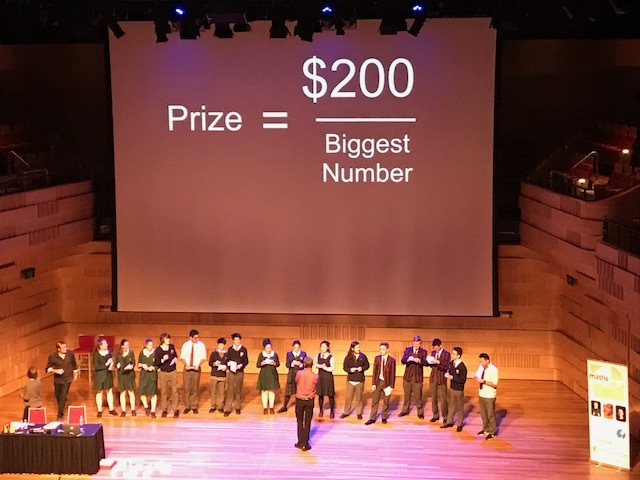 I was lucky enough to go on stage and take part in an interactive game called Greed, which was where I along with 20 other students from different schools had the chance to win $200.